Brack Rowland is the Major and Planned Giving Officer at WFYI Public Media, a role that involves supporting the station's fundraising efforts specific to major giving initiatives. Brack's education background includes a Bachelor of Science degree with double majors in Marketing and Management from Butler University, and a Masters of Arts in Philanthropic Studies from IUPUI. 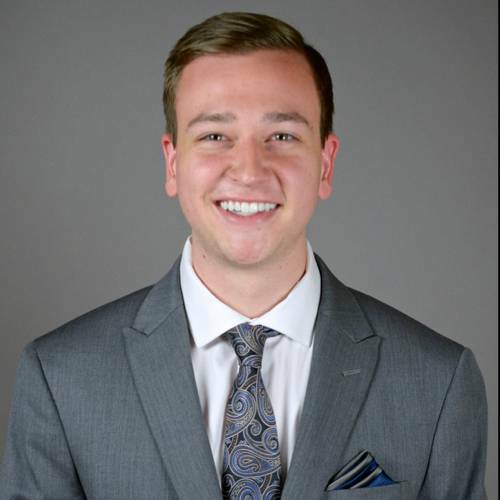 In addition to his education, he brings extensive fundraising experience to WFYI from previous positions with the Indiana University Melvin and Bren Simon Cancer Center, American Cancer Society, Indianapolis Zoo and with Indy Eleven. Brack and his wife, Jaci, live in SoBro (south Broad Ripple) area. The St. Petersburg, Fla. native was on a college visit to Butler University when he first saw snow and winters in the Midwest. The idyllic snow-covered campus and immediate friendly vibe of Indianapolis won him over, and he's called Indiana home ever since. In his spare time, he enjoys performing improv comedy and attending Colts games. Brack can be reached at browland@wfyi.org.